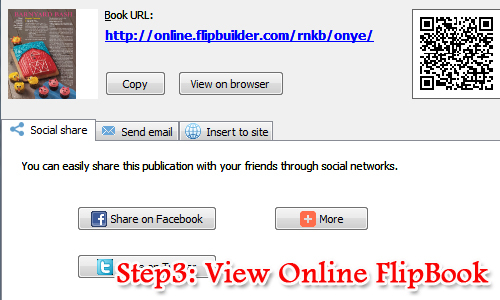 How to upload digital magazine online with one click by using A-PDF FlipBook Maker? According to your introduction on your website, it seems I can publish my digital publication online by A-PDF FlipBook Maker directly. But I have no idea how to upload it online with one click. As we introduced before, A-PDF FlipBook Maker is a professional digital publication maker to make page flipping e-magazine, e-book, e-catalog and e-brochure from PDF quickly. 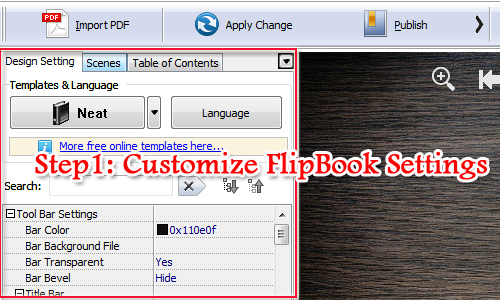 Then users can publish online or offline based on the actual need by A-PDF FlipBook Maker. 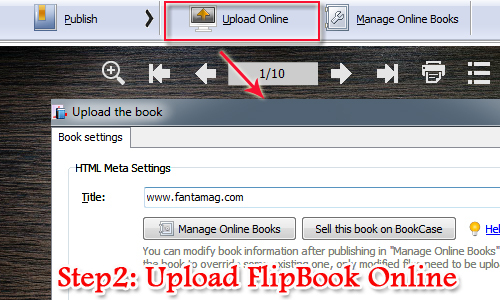 Anyway, A-PDF FlipBook Maker provides an easy way for uses to upload digital magazine online with one click. Once your upload your flipbook online, online digital publications can be shared to social media sites, embed into blog and website with simple steps. Then let's learn to upload the digital magazine online in advanced. First of all, you can the digital magazine layout by applying different templates, scenes and themes. Then you are able to customize the functional settings based on your actual needs. And then the operating language can be changed as well. Click "Upload Online" and then sign up and log in to continue. Then you need to fill in the information of uploading digital magazine such as title, description and more. Click upload to go ahead. When it is finished uploading, you can start to copy the online address. And then it is time to share to social networks, embedding to somewhere or email to someone quickly.